Three University of Maryland students have been awarded scholarships by the Barry M. Goldwater Scholarship and Excellence in Education Foundation, which encourages students to pursue advanced study and careers in the sciences, engineering and mathematics. 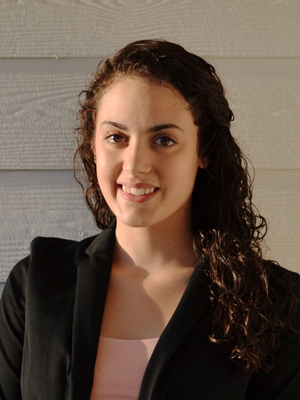 The Goldwater Foundation also recognized a fourth UMD student with an Honorable Mention. 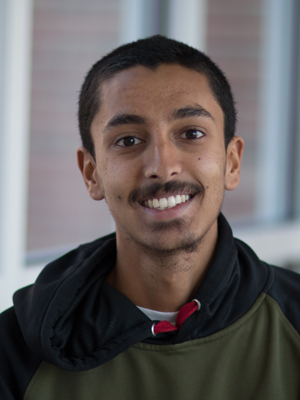 UMD juniors Christopher Bambic, Eliot Fenton and Prayaag Venkat were among the 240 Barry Goldwater Scholars selected from 1,286 students nominated nationally this year. UMD junior Natalie Livingston was recognized with an Honorable Mention. The four students all plan to pursue doctoral degrees in their areas of study and to become university professors or researchers at government laboratories. 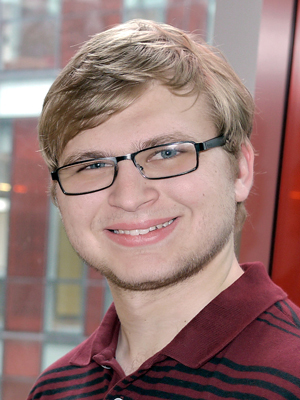 Christopher Bambic—a physics and astronomy double major who is also a member of the University Honors Program and a Stamps Banneker/Key Scholar—is interested in the role plasmas play in active galactic nuclei feedback in galaxy clusters. In January 2017, Bambic presented his research, completed with his faculty mentor, Astronomy Professor Christopher Reynolds, at the American Astronomical Society meeting. Bambic’s project addressed magnetic draping in galaxy clusters and the role magnetic fields play in active galactic nuclei feedback. He is currently preparing the work for publication in The Astrophysical Journal. Bambic will spend the summer of 2017 working at the Institute of Astronomy at the University of Cambridge in England. There, he will use space-based X-ray telescopes to research the roles of turbulence and sound waves in heating the plasma in galaxy clusters. Eliot Fenton—a physics major who is also a member of the College Park Scholars’ Science, Discovery and the Universe program and a UMD President’s Scholar—plans to study atomic, molecular, and optical physics in graduate school. 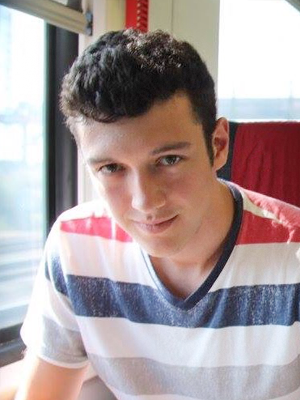 He intends to pursue an academic career in quantum mechanics and quantum computing. Working with his faculty mentor, Physics Professor and Joint Quantum Institute Fellow Luis Orozco, Fenton’s research has yielded significant technical breakthroughs in the production and characterization of high-quality optical transmission nanofibers used to trap atoms for quantum physics and computing studies. His achievements earned him an invitation to the Niels Bohr Institute in Copenhagen, Denmark in the summer of 2016, where he worked with experienced scientists to refine nanofiber fabrication techniques. In January 2017, Fenton co-authored a peer-reviewed publication in the journal Optica that described the measurement of a nanofiber with sub-Angstrom precision—less than the diameter of an atom. Fenton will spend 9 weeks in the summer of 2017 as an undergraduate researcher at CERN in Geneva, Switzerland, where he will gain hands-on experience with subatomic physics research. Prayaag Venkat—a computer science and mathematics double major who is also a member of the University Honors Program and a Banneker/Key Scholar—is interested in an area of theoretical computer science known as approximation algorithms, which look for the closest optimal solutions to complex problems for which exact solutions are impractical. Venkat has worked with his faculty mentor, Professor and Elizabeth Stevinson Iribe Chair of Computer Science Samir Khuller, to address a number of problems suitable for approximation algorithms. He contributed to a poster presentation at a meeting organized by the National Science Foundation in October 2016, and has submitted a paper to the 2017 Algorithms and Data Structures Symposium this summer. One of Venkat’s first projects was to design space-efficient data structures for solving problems in computational geometry, under the guidance of Computer Science Professor David Mount. Natalie Livingston—a bioengineering major who is also a member of the University Honors Program, the Tau Beta Pi engineering honor society and the Alpha Eta Mu Beta biomedical engineering honor society—is interested in using nanoparticles as tools for precision drug delivery. Working with her faculty mentor, Fischell Department of Bioengineering Assistant Professor Steven Jay, Livingston has worked to develop a new method of loading nanoparticles for drug delivery. In the summer of 2015, Livingston studied antibiotic resistance as a summer intern at the National Institutes of Health, and in the same year received a National Science Foundation-funded Louis Stokes Alliances for Minority Participation grant. In 2016, Livingston received a competitive Howard Hughes Medical Institute undergraduate research fellowship to help with her research efforts. In the same year, she co-authored a peer-reviewed publication in the journal Cellular and Molecular Bioengineering on the use of sonication to load small RNAs into extracellular vesicles to knock down oncogenes.